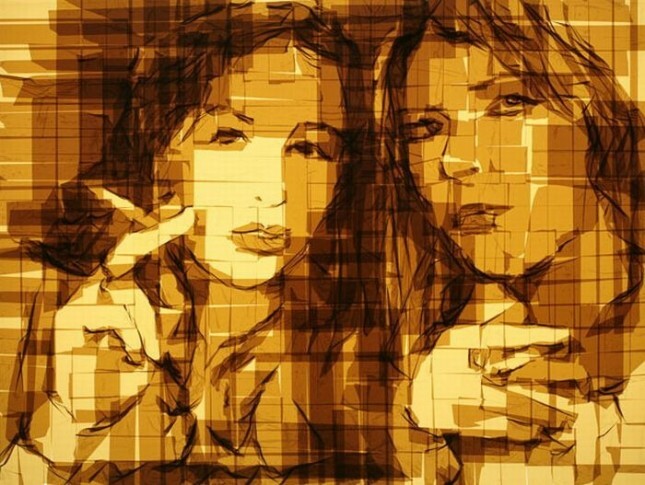 Ukrainian born mixed media artist Mark Khaisman uses translucent packing tape on Plexiglas panels with a light source behind to create incredible images that have the shadow and depth of large scale paintings. Khaisman uses several layers of tape to give the pieces contrast and thinner stripes of tape to achieve smaller “brush strokes” and utilizes the natural crinkles to create subtle texture as needed. The artist achieves even complex features in the faces of his characters. It’s pretty incredible. The most original use of tape since this.